Judgment in Owens -v-South West Yorkshire Partnership NHS Foundation Trust was given on 9th January 2019. 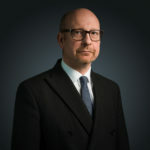 In the case Angus defended a claim by a Claimant who was a Consultant Radiologist and who had jumped from a balcony and sustained very serious injuries. The Claimant was paralysed and confined to a wheelchair. The Claimant alleged he had been negligently treated by a number of psychiatric nurses who refused to admit him to hospital. The Judge dismissed the claim for negligence and found for the Defendant. A copy of the order and judgment is here.